I’ve had this recipe filed away in my brain for almost two years now! I know it’s been that long because I first thought of it after I came up my low FODMAP chive pesto I shared back in 2105. How the hell is it already 2017? 2015 feels like it was last month. It’s kind of freaking me out. I’m kicking myself for waiting so long to make this recipe because this pizza is SO GOOD. Anyone who’s been on a low FODMAP diet for more than five minutes knows and has probably mourned the fact that garlic is off limits. Garlic, onions, apples, and a ton of other foods that cause complete turmoil in sensitive stomaches. 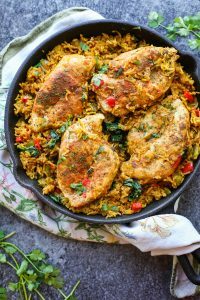 When Mike was still on the low FODMAP diet awhile back I threw a fit or two (or ten) on many occasions trying to figure out what the hell I could make for dinner. It wasn’t fun at the time but looking back I do think that it made me a better cook. It certainly made me a more creative cook because I had to come up with new ways to flavour dishes that normally relied on foods that were then off limits. Which is exactly how I came up with my chive pesto – my dinner time saviour – not to be dramatic or anything. Garlic is to pesto what tomatoes are to marinara. Essential. Or so I thought! 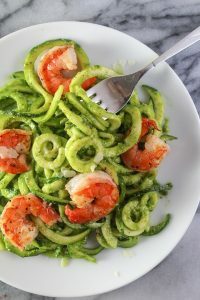 Just blend it all together to your desired pesto consistency and you’re all set! 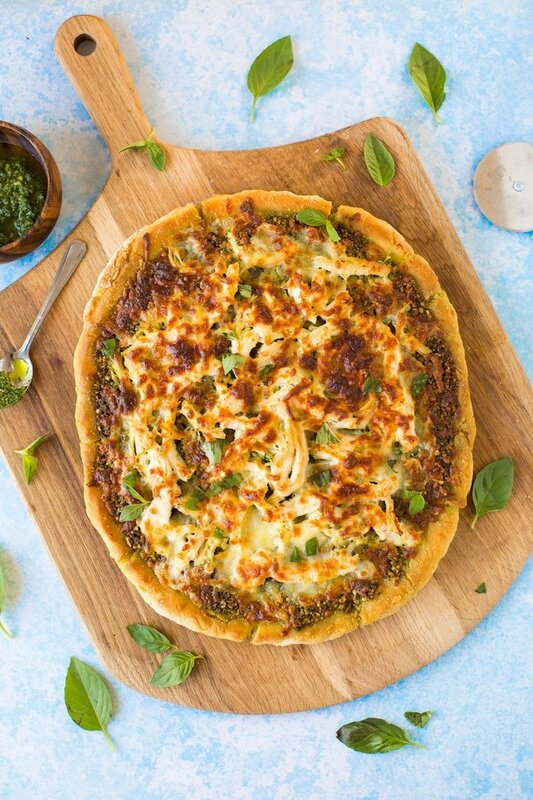 The pizza crust is my go-to gluten free pizza crust that I use for most pizza nights. It’s fast, easy, and doesn’t need and rise time which means you’ll be eating pizza with in the hour. 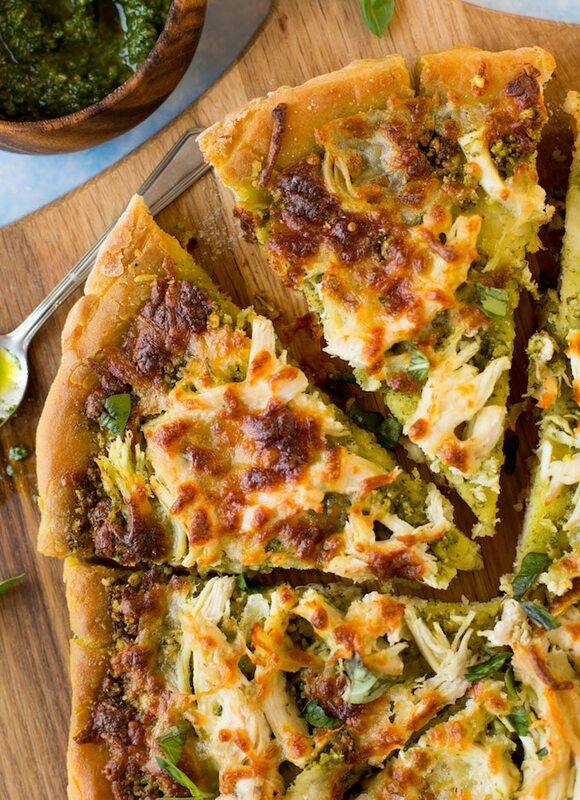 Once the crust is made just top with pesto, shredded chicken, mozzarella and go! Let me know in the comments if there are any other foods you’d like to eat that are typically off limits on a low FODMAP diet! 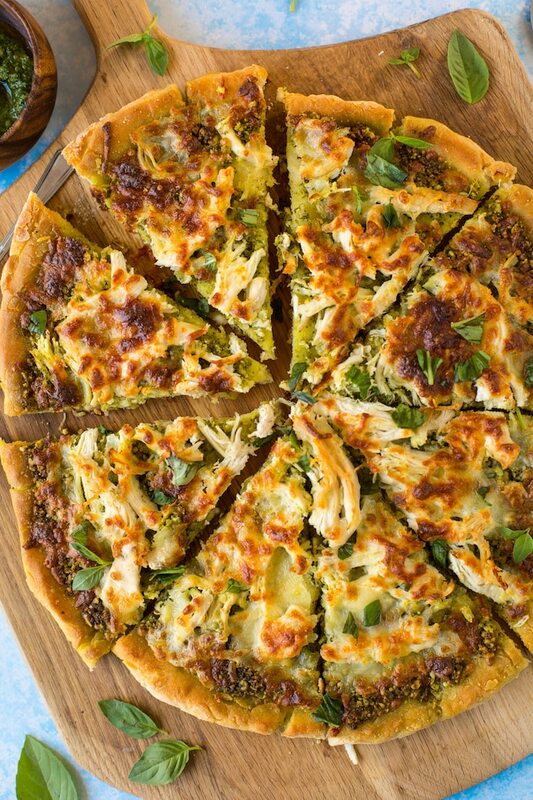 Don’t forget to #asaucykitchen on instagram if you try this Low FODMAP Chicken Pesto Pizza I’d love to see what you make with it! You can also post your pictures to my facebook page! In a small bowl add the warm water and 1 tablespoon of sugar. Stir gently to dissolve the water. Sprinkle the yeast over the top of the water and then stir it in. Set the bowl to the side for 5 minutes to let the yeast activate while you mix together the dry ingredients. When the yeast has activated it should foam up a bit. In a large mixing bowl, mix together the flour, psyllium husk or xanthan gum, sea salt, baking powder and remaining 1 tablespoon of sugar. Whisk well to combine. Once the yeast has activated and the dry ingredients are mixed together, slowly pour in the yeast water and 2 tablespoons of olive oil. Mix until a dough starts to form. Lightly flour your hands and a sheet of parchment paper to roll the dough on and form the dough into a ball. If the dough if far too sticky, add a little more flour a spoonful at a time until it's easier to shape and handle. Depending on the type of gluten free flour blend you may need a little more. Just be careful not to add too much to dry out the crust. Roll the dough into a ball and place in the middle of a sheet of baking paper. Flatten out the dough out with your hands or roll it into shape (about 1/4 inch thick). See notes about rolling. Transfer the dough to a baking sheet and pre bake for 15 minutes. Remove from the oven as your prep the rest of the ingredients. Spread the pesto over the base of the pizza. Scatter the shredded chicken across the top and then finally top with cheese. Return the pizza to the oven to finish baking for another 10-15 minutes. When the cheese starts to turn golden you're done. Let sit for 5-10 minutes and serve. Add all of your ingredients to a blender or food processor and process until you get your desired, pesto consistency. You will end up with about a cup of pesto - save the rest for other recipes or top the pizza with more pest at the end. I used this pizza crust in a few other recipes - I used to roll out the dough with a rolling pin. I've since realised that if I press the dough out with my hands the pizza dough comes out much softer. Transfer chicken breasts to a cutting board, allow to cool slightly, and shred the chicken meat with 2 forks. Yum!! I just made this. So so good. I cheated and used the namaste pizza crust mix. 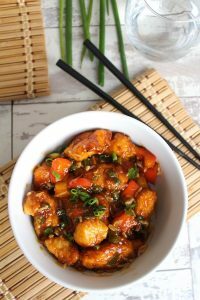 Thanks for such an awesome low fodmap recipe!